Located in the spectacular St Julians, Malta is the Westin Dragonara Resort Hotel. At The Westin you will find stunning sea front views making it the perfect choice for holiday makers looking for a seaside escape. The resort is situated on its own peninsula of 74,000sqm and is bordered by its own beautiful beach. Offering ocean view rooms, dining and facilities, Westin Dragonara Resort Hotel will have you feeling like you are on a remote island getaway. The Westin Dragonara Resort Hotel offers a wide variety of five star seafront rooms to suit the preferences of all guests. Whether you are a family looking for a luxurious holiday or a couple in search of a romantic escape, there is a room with a view for everyone, all while waking up to the sight of the beautiful ocean. While there are various options of sea front rooms why not make the most of the unique location by choosing a suite or luxury bay suite where you can relax on your own balcony and truly appreciate the magnificent scenery. Each suite provides more than adequate amounts of space, superior service and the finest attention to details. Please visit the Accommodation section of the main page for more information regarding room types. 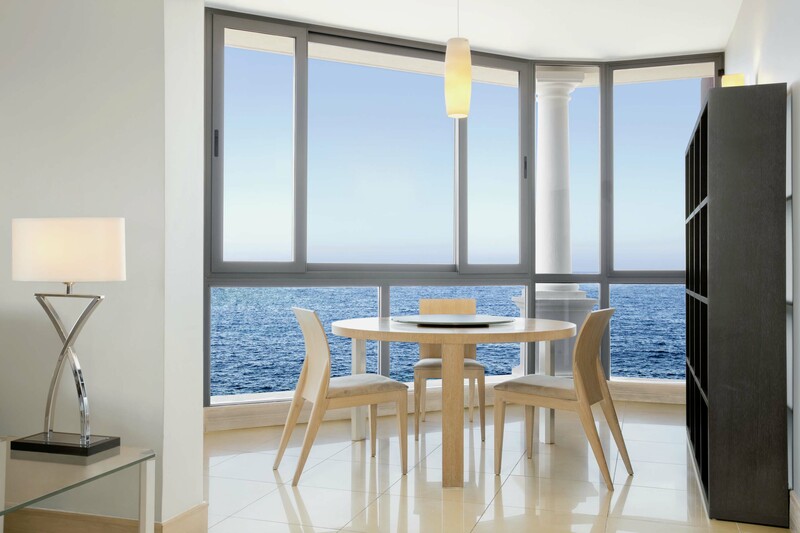 A major benefit of a sea front location is having the opportunity to enjoy your meals with the perfect backdrop. At The Terrace enjoy ocean side buffet style dining where you can soak up the scenery from the outdoor patio. Here you will find an array of tasty international and local dishes. If you are feeling like something more formal, visit Quadro for a lavish waterside dining experience offering traditional Mediterranean fare. 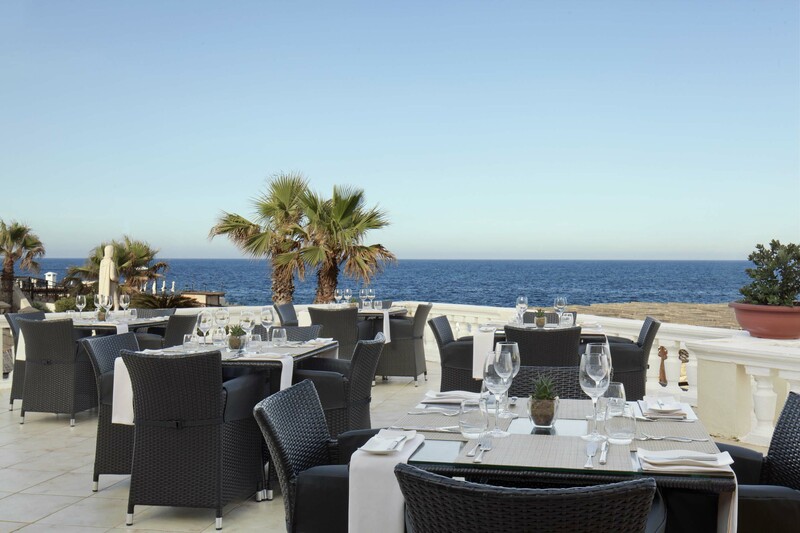 Dining in either one of these locations will ensure your stay in Malta is unforgettable. Guests who come to St Julians with a sense of adventure will be delighted to learn, thanks to the wonderful seafront location, a wide variety of water sports are available. Westin Dragonara has its own on site scuba dive school which is available to all guests. This makes Westin Dragonara exceptionally unique and gives guests the opportunity to do something out of the ordinary and perhaps check one off the bucket list. So why not take some dive lessons and explore the incredible dive sights that Malta is famous for. Discovering these gorgeous spots will have you feeling close to nature and is guaranteed to have your adrenaline pumping. Another benefit of The Westin Dragonara’s seafront location is the convenience of being close to all local coastal attractions. Just a short walk from the resort is St Julian’s and the surrounding area. It won’t take you long to fall in love with this area and all that it has to offer. 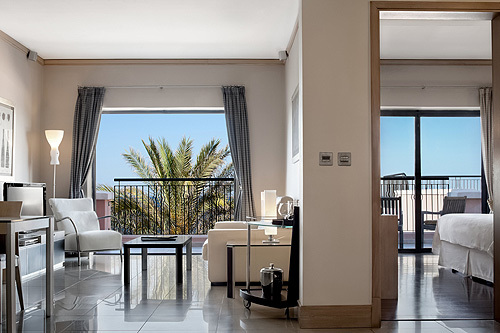 If you are after the perfect Oceanside, five star holiday where you can dine, play, unwind and even wake up surrounded by the sea, The Westin Dragonara Resort Hotel is the perfect choice for holiday makers looking for a luxury holiday by the sea.